There are several reasons why weight-lifting as a sport is not popular in this country. Probably the principal reason is the very foolish and short-sighted attitude of the professional lifters in this country. These professionals have made a practice of deceiving and "buncoing" the public for so long a time, that the public has become disgusted with their methods and has come to the conclusion, either that all weight-lifters are fakirs, or else that weight-lifting is a peculiar kind of sport in which only a few men can excel. 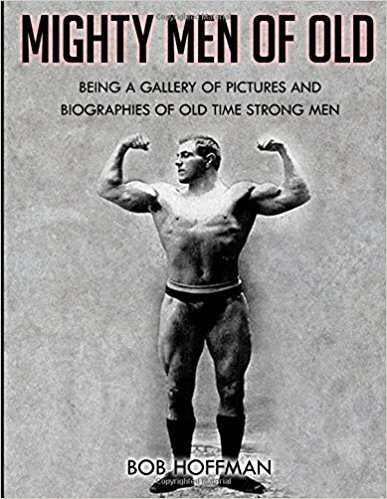 Probably you have noticed that every professional weight-lifter in America eagerly and earnestly proclaims himself to be "the strongest man in the world." They seem to have the idea that nobody will pay to see them perform unless they make this claim. Sometimes they qualify it by modestly stating that they are the strongest men in the world of their weight. Practically every one of these professionals claims to hold all the world's records. They know that the general public is not accurately informed as to the records and they take advantage of the fact by making all sorts of ridiculous statements regarding their own lifts; and in this respect, we are sorry to say, they are helped out by the newspaper reporters and sporting writers, who, with childlike innocence, accept and print in their papers, as gospel, the absurd claims of some of these lifters. For example, a few months ago there appeared in one of the vaudeville theatres in Philadelphia a big Belgian, who, during the course of his act, held at arms length to the side, a large kettle-bell, which was labeled 125 pounds. This is the feat known to the schoolboy as "muscling out" a weight. Probably you have tried it and have found that, it as much as the average will do to "muscle out" 25 pounds. When this performer, of whom we speak, claimed that he was holding 125 pounds the audience burst into wild applause, whereas, the man ought to have been hissed off the stage for making such a foolish claim. There is no man in the world today, who will hold 125 pounds out sideways in that manner. In order to show how little the newspaper reporter knows about this particular line of athletics let me cite another instance. One day a couple of years ago, a certain weight-lifter came to see me and asked if I could let him have a bell for an exhibition he was going to give the following evening. I accommodated him by allowing him to have a bar-bell of the "plate-loading" type, and this bell weighed exactly 160 pounds. In due course of time he returned the bell and at the same time showed me a newspaper clipping describing his exhibition. It seems that after he had closed his act, a newspaper reporter approached him and asked him how much he had lifted. He told the reporter that the bar-bell he had pressed up with one hand weighed 260 pounds, and that the lift was a world's record for a man of his weight. The reporter then asked for a picture, and so the following day the lifter had his picture taken showing himself making a one-arm press with the 160-pound bell. This picture with the lifter's statement (that the bell weighed 260 pounds) was published in one of the leading Philadelphia papers. This incident only goes to show how little the average reporter knows about weight-lifting. 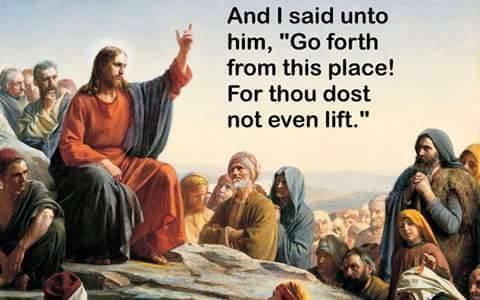 If he had been possessed of any knowledge, either of lifting, or of dumb-bells, he would have known that the lift was impossible for a man of the lifter's size, and also that the bell itself could not possibly weight 260 pounds. A professional lifter will almost always carefully conceal his real records and at the same time will exaggerate the feats which he performs on the stage. The public is just as much to blame for this as are the lifters. If a trick jumper was to appear on the variety stage and in his act make a jump, and then claim that he had just cleared a height of 8 feet, almost every man in the audience would know that he was lying, because nine young men out of every ten are able to tell you that the world's record in the running high jump is about 6 feet 6 inches. The weight-lifter, however, trades on the ignorance of the audience, and is able to make the most absurd statements and obtain credit for impossible lifts. The average professional weight-lifter is generally an extremely strong man, but, as a matter of fact, he is not the least bit stronger than a first-class amateur lifter. As we will point out in another place in this volume, many of the world's record lifts were made by amateurs. The professional lifter, however, has but two ideas. The first, is to make the audiences believe that his feats border on the marvelous and are far beyond the powers of even the strongest amateur; and the second idea is, to by all means possible keep any outsider or amateur from handling his dumb-bells and finding out how light they really are. 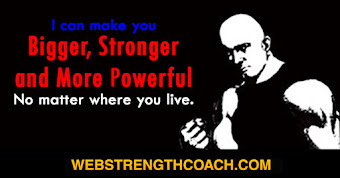 The writer has made dumbbells for a good many celebrated lifters, and he can confidently assure his readers that not more than one professional lifter out of five will tell the truth, or anything like the truth, about the amount of weight he lifts. "What's the use? The audience sees that I am apparently working very hard to make the lift and they would believe me just the same if I told them I was lifting 480 pounds. The people who watch me lift don't know the records, and so long as I can make them think that I am lifting 240 pounds by lifting only 80 pounds what is the sense of my working hard when I don't have to?" 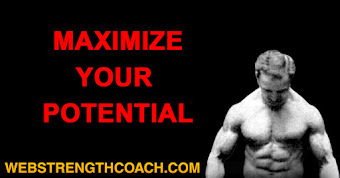 This is the attitude that most professional lifters assume. There is only one drawback when the lifter is using very light bells, and this is, that some member of the audience may come across the footlights and "show up" the professional. Therefore, the professional has to resort of some very funny expedients, and sometimes, we are sorry to say, to some very shabby tricks, in order to keep the audience from "getting wise." 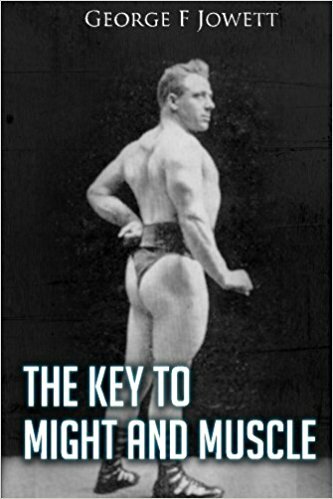 One very famous lifter always keeps his dumbbells and bar-bells in a big chest when they are not being used in his act. Another lifter always takes the precaution of chaining his bells to the floor, so that none of the stage hands can pick them up and find out how light they really are. These men are exceptions, for most of the professionals do not care whether the stage hands know about their weights; all they care about is deceiving the audience. In order to make their acts seem genuine many lifters will invite members of the audience to come the footlights and test the weight of the bells, and when this invitation is accepted it always happens that the "kind gentleman" from the audience gets hold of a trick or "phoney" ball. 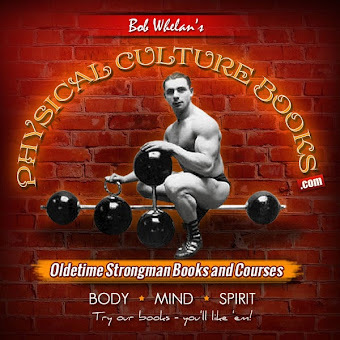 Some of the funniest stories regarding weight-lifting concern just such occasions. As one of the objects of this volume is to give information to the amateur weight-lifter, I will give a few instances to illustrate the danger of fooling with a professional's apparatus. The first and perhaps easiest trick used by professionals to deceive the audience is to have a couple of small-sized bells and exactly similar bells. These bells are generally laid quite near the footlights, while around the back of the stage are strewn dumbbells and bar-bell of enormous size. Very frequently the performer does not touch these big dumbbells, but they are there, and certainly look impressive. To start the act the lifter will go to the pair of small bells, pick up one of them ( which is generally a hollow iron bell weighing 30 or 35 pounds) and will throw it around in the air and juggle it from one hand to the other, and perform a number of taking, attractive lifts with it. He will then confidently tell the audience that the bell is not heavy, and invite any member of the audience to come up and lift it. Sometimes a "stool-pigeon" will come up and make a fake attempt to lift and thus satisfy the audience; but if a real stranger comes up the performer gets busy at once. Now it is impossible for anyone, even the most expert, to judge a man's lifting capabilities when he is attired in street clothes. Therefore, when a stranger steps across the footlights he may be a novice or he may be a champion amateur lifter for all the performer knows; but in the majority of case he is a mechanic or working-man, who know that he is strong and wants a chance to lift a heavy bell. As he steps across the footlights the performer will deftly roll aside the light bell, which he has been juggling, and will roll to the newcomer the other bell of exactly the same size and appearance, but which is made of solid lead, and weighs anywhere from 100 to 125 pounds. The amateur, having had the performer's assurance that the bell was light, expects to put it up easily, and when he succeeds in lifting the bell to his shoulders, and finds that it is very much heavier than he expected, he almost always fails to push it aloft, and then the performer scoffs at him and tells him, "if he cannot lift a little bell like the one he has just tried, how could expect to lift one of the big ones which lie around the stage." This little comedy generally takes full effect and the audience from that minute on has perfect confidence that the performer is lifting exactly what he claims. Occasionally the amateur is able to lift the lead bell, and then it is funny to see the professional dash around and hunt up the heaviest bell that he can possibly handle and use it in making his own particular and special lift. As it is ninety-nine chance out of a hundred that the amateur has never seen the performer's "pet lift," and is, therefore, unable to make a successful attempt at it, the performer generally "gets away with it," and restores the audience's confidence in him. Another way the professional has to fool a man from the audience is to let try to lift a "trick" bell. The bells are generally made with ends of uneven weight. In the ordinary dumbbell for one-hand lifting, the grip portion between the balls is generally make 4 1/2 to 5 inches long; just enough room being given to grasp the bell by the handle. In these trick bells the handle-bar is about 10 inches long. One end of the bell may weigh 70 pounds and the other end 50 pounds. In the center of the handle is a turned "grip." The performer when he lifts the bell grasps the handle near the heavy end. For instance, in the bell mentioned above, he would grasp it with his hand close to the 70-pound end. This would make the 50-pound end come 5 inches from his hand, and make the bell balance. When a stranger grasps the bell, however, he is almost sure to pick it up by the fancy grip in the center of the handle. Naturally when he gets the bell to his shoulder it is out of balance and generally falls to the floor. An even simpler trick is that used by a professional lifter who used to travel around the country with a "one-ring" circus. He owned a number of fairly heavy bells and he used to invite the farmer boys in the audience to come into the ring and make a lift. As he described it himself, his trick was as follows: " I used to carry around a box, in one of which was a little bit of rosin, but he rest of the box was full of soap powder. Before I would make a lift I would rub a little rosin on my hands, which was quite necessary as all my dumbbells had thick handles and were hard to lift, but when some husky young 'rube' crawled into the ring and wanted to lift, I would always kindly allow him to rub his hands with soap powder, and I never had one of them succeed in lifting my bells." In this connection I might say that it is very hard for a novice to lift to his chest a long bar-bell if it has a handle over two inches in diameter. It is quite an art to get a heavy bell to the chest, when you are going to make a "two-arm" push-up, and the best sized handle in making this lift would be 1 inch to 1 1/4 inches in diameter. A professional lifter who is gifted with very large hands is always sure to use thick-handled bells. John Marx, the celebrated German lifter and "strongman," has enormous hands, and it is said that no other lifter can use his dumbbells. It is extremely difficult to lift from the ground with one hand a 200 pound bar-bell if the handle is 2 1/4 inches thick. Personally, I don't know more than two or three men who can perform this feat, and yet practically every first-class professional lifter can raise from the ground with one hand a 500-pound bar-bell, providing the handle is not more than 1 1/4 inches thick. 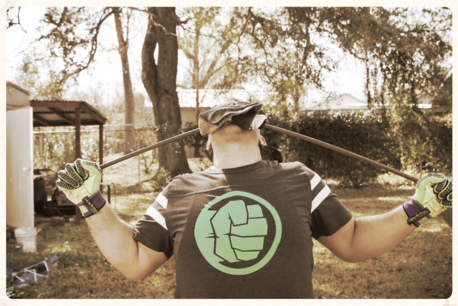 Of course, if you use a soft strap, or prepared grip, very much more than 500 pounds could be lifted. 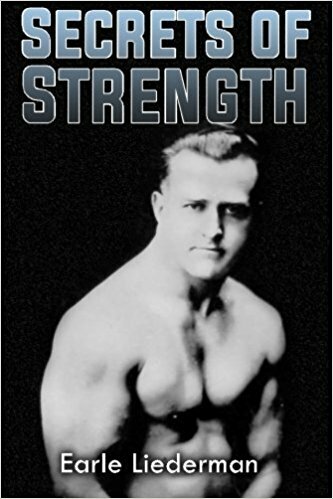 Lifters take advantage of this in the following manner: The performer will come to the front of the stage and announce, "I will give to any man in the audience who will lift from the floor with one hand a bar-bell which I will lift with one finger." He will then put a strap around the thick handle of a big bar-bell, and by putting the finger through the strap will lift the bell with the middle finger. This would be a cinch for the average amateur. When the man from the audience tries to lift the bell the strap is taken off and he is expected to raise the bell by grasping the handle-bar itself. Unless he happens to possess a hand of about 10 inches long and have tremendously strong fingers, he will find himself unable to lift even one end of the bell. Many lifters have built up reputations by this trick. Another variation is the following: As stated previously, when a man is going to make a two-arm lift above the head he has to use a bell with a comparatively slender handle. Before you can push a bell aloft with both hands you have to pull it up to the chest and to repeat, both skill and strength are required to do this. In the one-arm lift from shoulder to arm length above the head, known as the "bent-press," the exact opposite is the case. 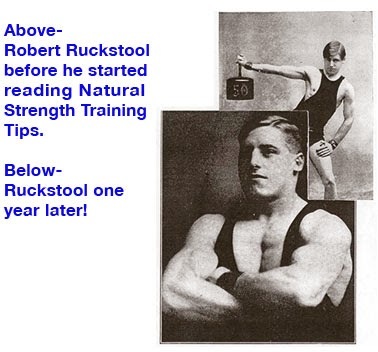 This lift was a specialty of Eugene Sandow, and he worked it on all occasions. In making the lift it is customary for a professional to use a bell about 6 feet long with a handle 2 to 2 1/2 inches thick. In order to get the bell to the shoulder, he will first stand it on end, then leaning over, he will grasp the center of the bar and "rock" it into position over his shoulder. He will then raise it aloft by the "bent-press method, and while he is pressing it aloft the thick handle is a great advantage, as the bell is less liable to roll in the hand, and as a man can push harder against a broad surface than against a narrow one. Any good professional will raise with one arm in this manner a 200-pound bell, and after making the lift will generally anyone in the audience to try to lift bell with both arms, and if the bell has a sufficiently thick handle-bar it will defy the efforts of even a very skillful lifter. The professional's part, of course, is to stand around and sneer at the efforts of the novice; to ask him if the considers himself strong if he can't lift as with two hands as the professional can with one, etc., etc. The chances are ninety-nine out of a hundred that the professional could not lift the bell with two arms, and he is very careful never to make the effort.